Busy, tired, have no time to do that long awaited ‘spring clean’? Not enough hours in the day? 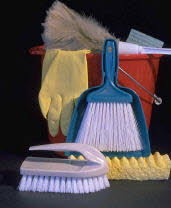 Working full time, but want the quality hours at the weekends, without the worry of what is needed to be cleaned? Well, ‘wipe away’ the past and have a ‘recharge’ with a ‘one off’, weekly, monthly or simply that special occasion clean. Our specialised team of cleaning operatives cover all local areas of Hampshire, Surrey and Berkshire. We aim to offer efficient and professional staff to all our Service Users/Clients.